Plants and vines benefit from a garden trellis — providing them with stability as they grow larger. 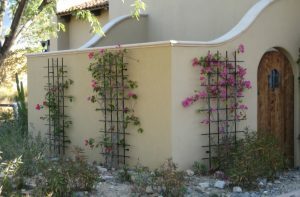 Trellises are often used to help “soften” the house or perimeter walls. 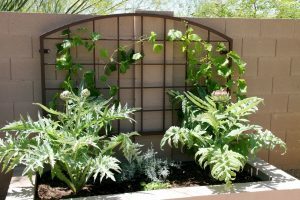 A garden trellis can provide a beautiful lush screen to provide privacy or hide mechanical equipment like A/C units and pool pumps. 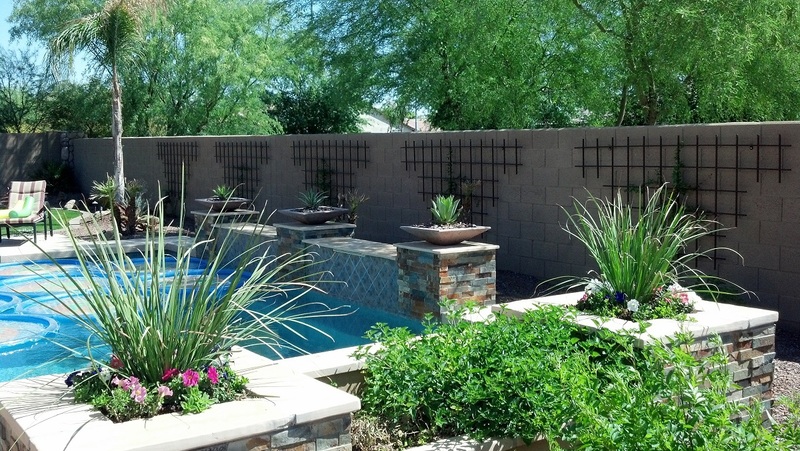 Arizona Trellis fabricates garden trellises that are durable as well as beautiful. Every trellis is fabricated at our welding facility in Phoenix by skilled steel artisans. We use only 100% American made components in the fabrication process. Each trellis has a powder coated finish that is baked on at 450 degrees for a beautiful and durable finish. Designed with function in mind, our standard steel trellises are available in both wall mounted and post mounted styles. Each custom steel trellis is fabricated to order. We want you to have the trellis that fits your needs. 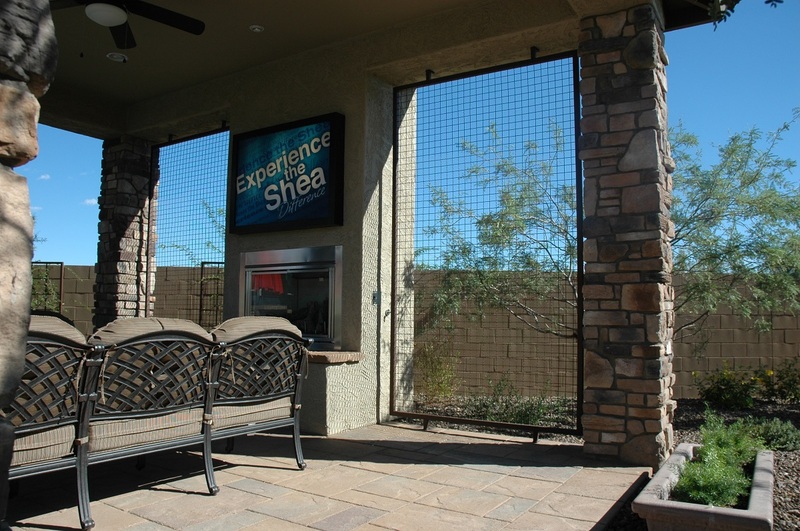 “Tim at Arizona Trellis really took the time to listen to exactly what I wanted and he delivered! 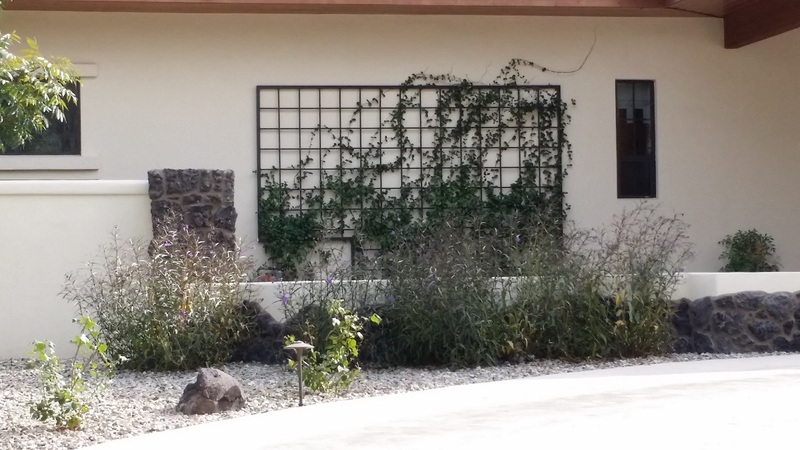 We are extremely happy with our new custom trellises, they were the finishing touch to our landscaping. 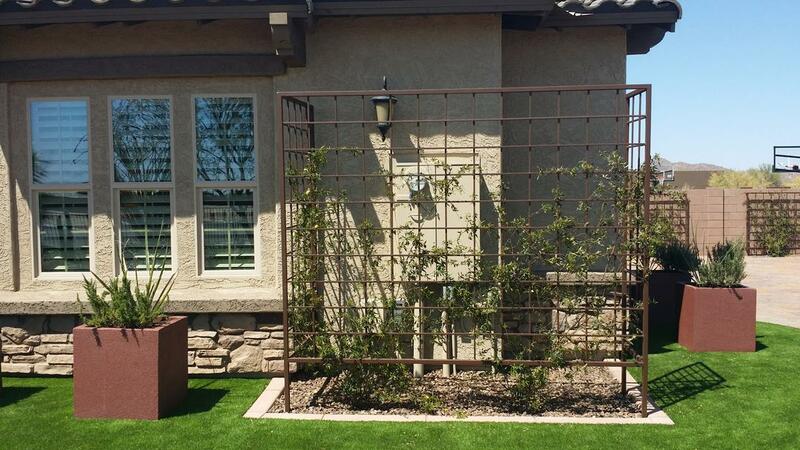 We are happy to help you find a standard steel garden trellis that is already designed, built and ready for installation at one of the fine retailers that carry Arizona Trellises …View list of Retailers. If you are interested in a custom trellis, Contact Us, to receive a quote on a custom design.